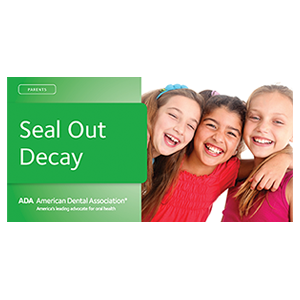 Get all the basic facts about sealants in a compact mini-brochure! Show parents how sealants are a vital part of your cavity-fighting strategy. Includes photos of a molar before and after sealant application. Perfect for mailers or health fairs. Mini-brochure, pack of 100.